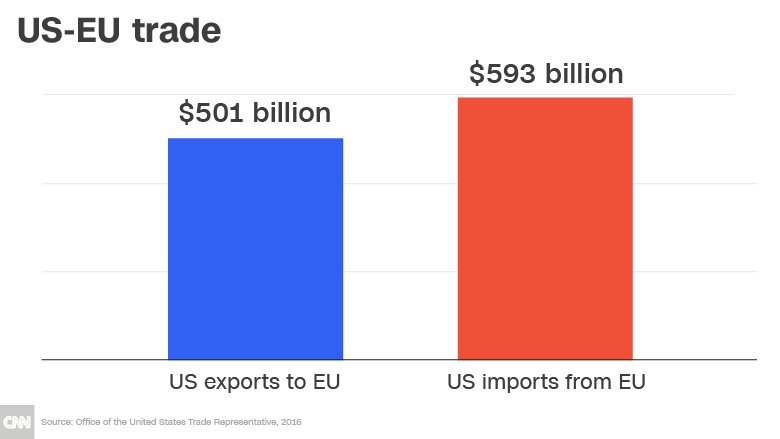 Tariffs on more than $3 billion worth of American exports to Europe took effect on Friday. The European Union has imposed additional tariffs of 25% on products such as motorcycles, orange juice, bourbon, peanut butter, cigarettes and denim — part of its response to the Trump administration's tariffs on steel and aluminum exports from Europe. "The trade that we believe in is built on rules, trust, reliable partnership. The United States decision to impose targets on Europe goes against that, in fact it goes against all logic and history," European Commission President Jean-Claude Juncker said on Thursday. "Our response must be clear but measured," he added during a speech to the Irish parliament. EU trade officials have described the US tariffs on steel and aluminum — justified by the Trump administration on grounds of national security -— as "illegal." President Donald Trump fired back immediately, repeating his threat to impose tariffs on European car exports to the United States. "Based on the Tariffs and Trade Barriers long placed on the U.S. and it great companies and workers by the European Union, if these Tariffs and Barriers are not soon broken down and removed, we will be placing a 20% Tariff on all of their cars coming into the U.S." he wrote on Twitter. "Build them here!" he declared. Last month, Trump instructed his Commerce Department to begin a national security investigation that would provide the legal underpinning for new tariffs on cars. 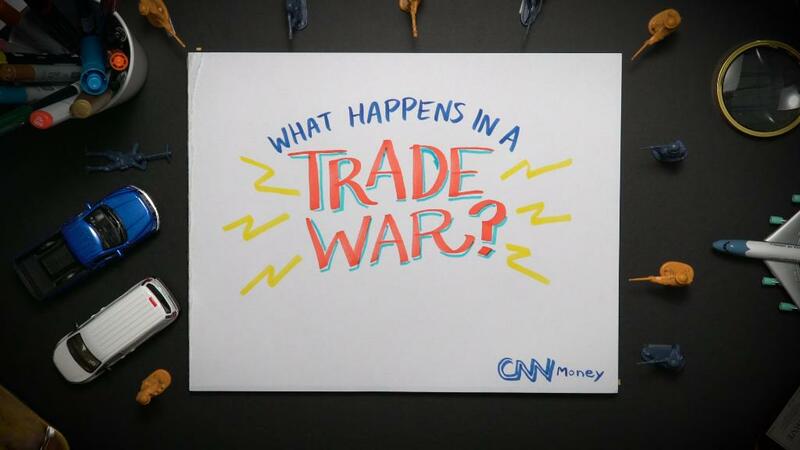 President Donald Trump has threatened to hit $200 billion in Chinese exports with tariffs, in addition to goods worth $50 billion the US has already targeted. Beijing will respond in kind. American tariffs on steel and aluminum have also hit Canada, Mexico, India, Turkey and China. All five countries have already announced retaliatory measures. Turkey said Thursday that it's imposing tariffs worth $267 million on US goods, targeting items such as coal, paper, walnuts, tobacco, rice, whiskey and cars.